Defend against swashbuckling enemies with the Playmobil Red Interactive Cannon with Buccaneer. Use the functioning cannon with skull projectiles to defend against enemies who are searching for ye buried treasure! Battle your opponent on your own or combine it with any of the other three collectible pirate bags (sold separately). 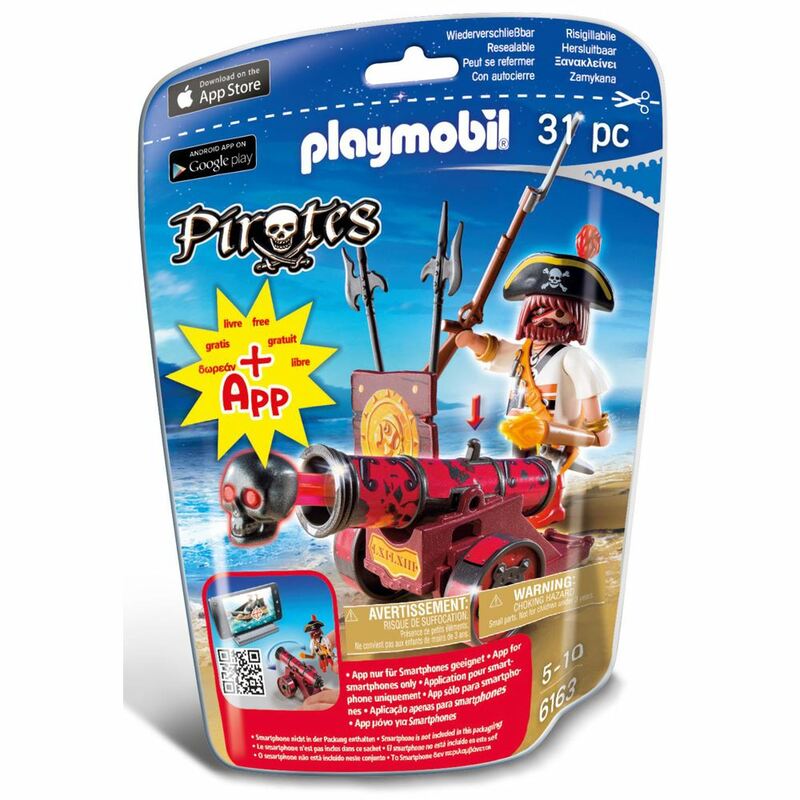 Then, take the battle online with the Pirate game available on iOS and Android devices. Simply download the free app and shoot the cannon at your phone to hit the virtual targets. Includes: a figure, phone stand, cannon, 2 skull projectiles, a shield and accessories. Part of the Pirate range. Age 4+ years. Distributed in New Zealand by Holdson.